If there's one thing I hate about lipsticks, it's when they rub off unevenly or bleed, but this little baby stops that everytime. 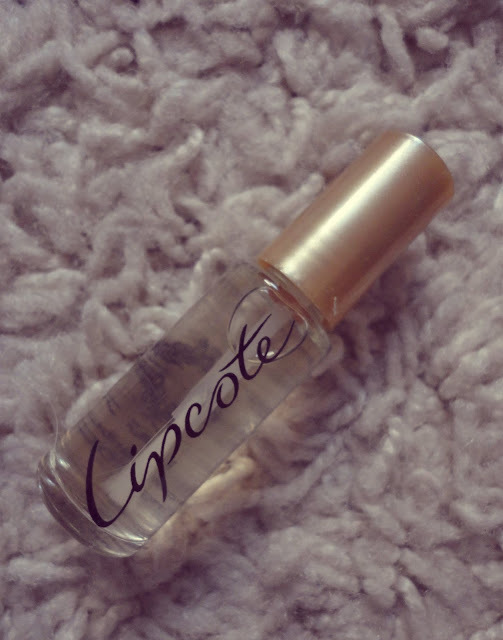 I'm sure you will have heard of Lipcote, a clear liquid that you brush on your lips after applying your lipstick so it stays put for hours. I bought this from feelunique after meaning to buy it for ages and I'm so happy I did! 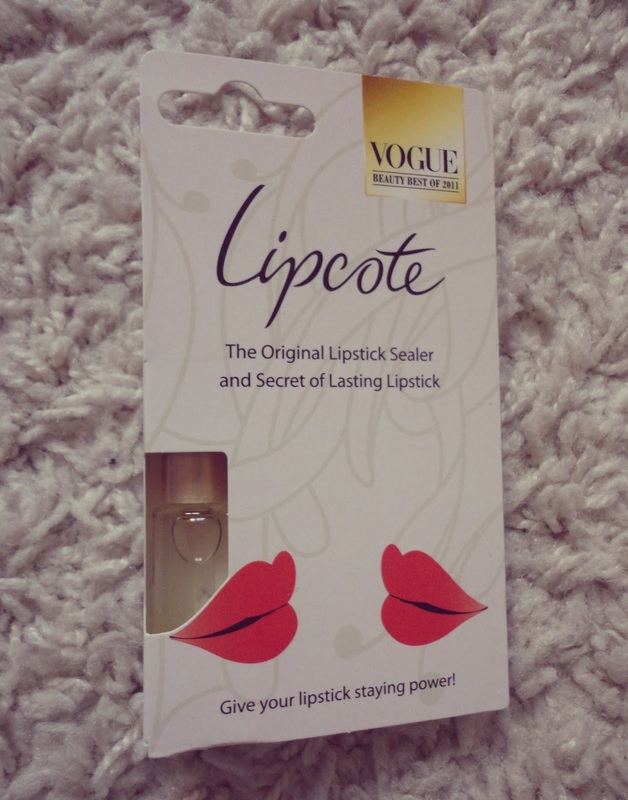 This is such an amazing product and it definitely keeps my lipstick looking good for much longer. 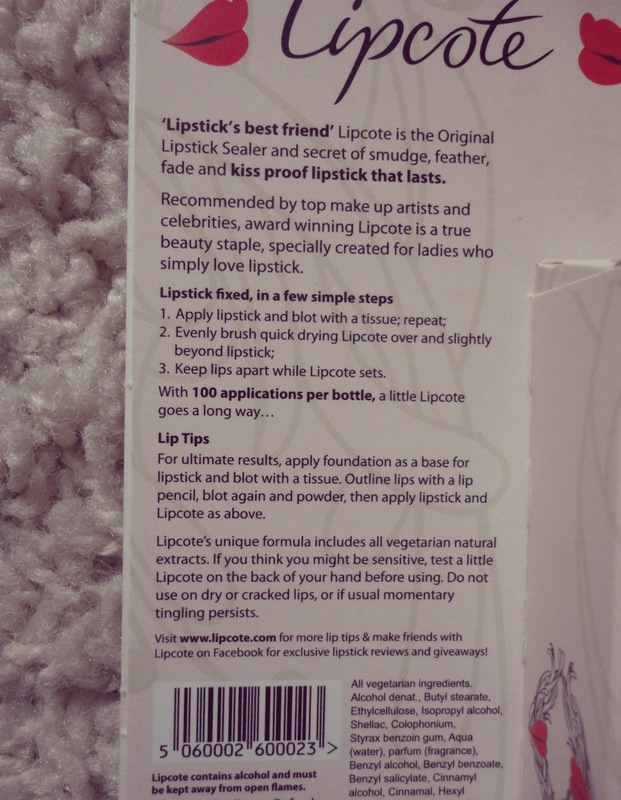 Also, generally it makes the lipstick stain the lips a bit more so it doesn't rub off unevenly. It does feel quite tingly on your lips at first, but once it sets in you can't feel it. I would say that it can sometimes feel a bit drying on your lips so make sure you apply a balm first before your lipstick. Also, the bottle is only quite small but it will last you ages as you're only swiping a small amount onto your lips each time you use it. And for the price, you can' really go wrong! Well thankyou but I checked your post & I haven't been nominated haha!